Asphalt Impressions Inc, formerly a division of Biondi Paving. 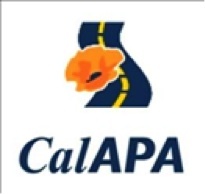 Inc., is California’s leader in decorative asphalt surfacing. 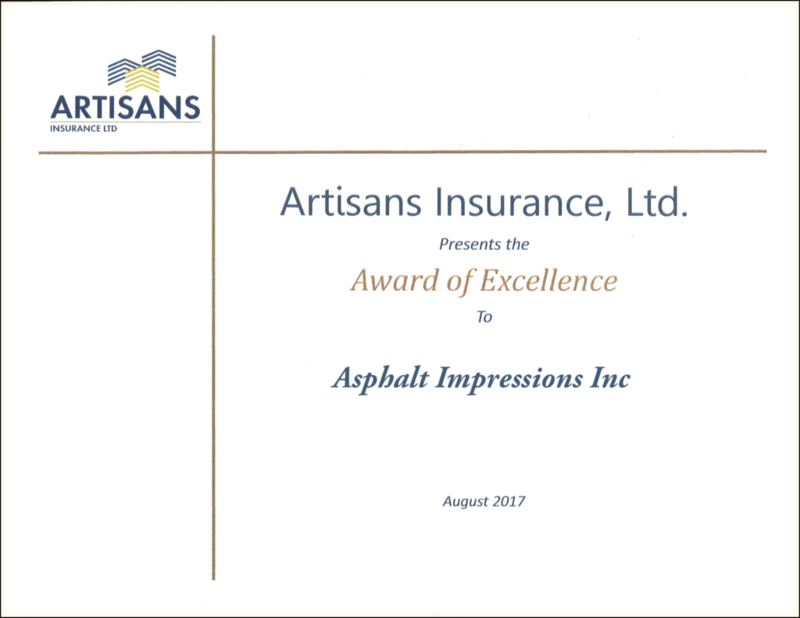 Acknowledged leadership with over 30 years of experience in the asphalt paving industry, we understand the characteristics, properties and best applications for asphalt enhancements. 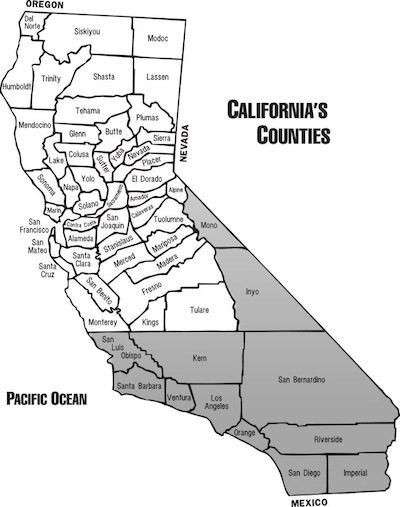 A licensed Master Applicators since 1998, we have installed 2 million square feet of enhanced asphalt surfacing throughout California. Our long standing partnership and accreditation with the leading product brands has provided us the skills and products to present the right solution and deliver the best results for your projects. 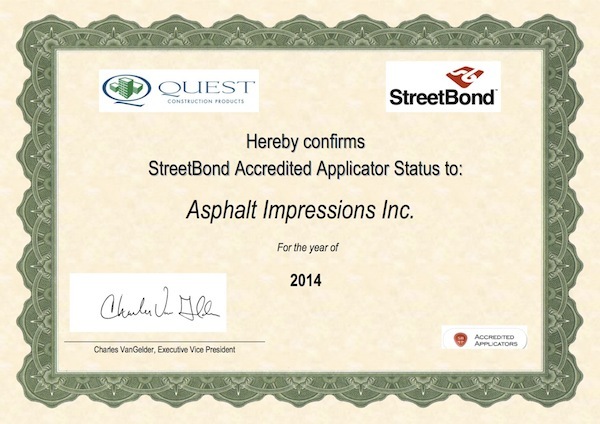 We specialize in Quest brand StreetBond150 coatings for stamped and colored surfacing, StreetBondCL (bicycle lane demarcation), StreetBondSR (solar reflective, LEED recognized coatings) and Durashield. 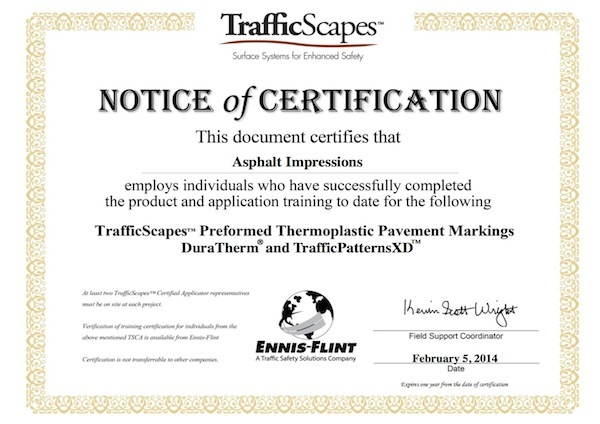 We utilize Ennis-Flint Traffic Patterns brand products for aggregate reinforced thermoplastic applications. Traffic Patterns XD and DuraTherm for crosswalks and DecoMark for horizontal thermoplastic signage. We are also excited to bring you CycleGrip MMAX specialized bike lane treatment system! For more than 20 years, these innovative product applications have been accepted locally, nationally and throughout 40 countries. Asphalt Impressions is here to serve your decorative asphalt surfacing needs. We are committed to providing quick and timely turnaround for pricing and superior installation performance to help you achieve your goals and objectives. Feel free to contact the undersigned if you would like additional information. We texture and color durable asphalt surfaces, for safe vehicular, pedestrian and bicycle use along with aesthetic appeal to create a sense of place. As a Parking & Highway Improvement Sub-contractor we help Contractors and Agencies build Completes Streets, which are known for livable, ride-able, walkable urban and rural communities. We can also contract directly with Homeowners and Property Managers in helping to make their asphalt beautiful! 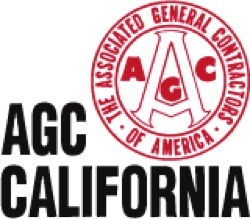 Great American Insurance Company has been providing all of the contract bonds for Stephan Biondi since 1992. We have been pleased with our association with both Biondi Paving, and Asphalt Impressions, Inc. We look forward to a continuing long-term relationship during the years to come. Please be advised that we would consider bids for Asphalt Impressions, Inc. in the range of $2,000,000 single/$10,000,000 aggregate. All Bid and Final Bonds are subject to review of the contract documents and underwriting conditions at the time of the bid or award. You must understand, of course, that any arrangement for the bid or final bonds is a matter between the contractor and ourselves and we assume no liability to third parties or to you if for any reason we do not execute said bid or final bonds. Wells Fargo Bank, National Association (“Lender”) agrees to make available to Asphalt Impressions Inc. (“Borrower”) a Revolving Line of Credit (the “Credit”). The obligations of each Borrower shall be joint and several. The Credit shall bear interest and be repayable in accordance with the terms and conditions of the Agreement. The Agreement consists of (1) this Confirmation Letter (this “Letter”), (2) the Business Lending Disclosure dated February 18, 1013 (the “Disclosure”) and (3) and Related Documents. All terms all conditions of the Disclosure and Related Documents are incorporated herein by reference for all purposes. All capitalized terms not defined in the Letter are defined in the Disclosure.